Next January marks the 7th Annual Save Haiti Bike Ride and we would love for you to join us. Mark your calendar for January 14, 2017 for a fun, challenging and uplifting event. Besides getting in great shape and having fun, the 2017 Save Haiti Bike Ride will serve as the official kick-off for the “I Stand With Haiti” campaign, an initiative to restore and sustain the lives of those affected by hurricane Matthew, the flooding in Cap-Haitien and to continue to invest in those who are still struggling to recover from the 2010 earthquake in Haiti. The event begins in Broward and ends in Palm Beach County at the beautiful Bryant Park on the Intracoastal Waterway in Lake Worth. The event will conclude with live music, vendors, fun activities for children and adults alike and a special tribute to Martin Luther King. If you are more of a casual rider, no worries, you do not have to do the entire ride. You can choose to ride your city, county or just a few miles. So, get ready… get set… start training! It’s almost time! Join us for the 6th Annual Save Haiti Bike Ride on January 16, 2016. You will without a doubt have a great time, it’s an amazing and worthy event. 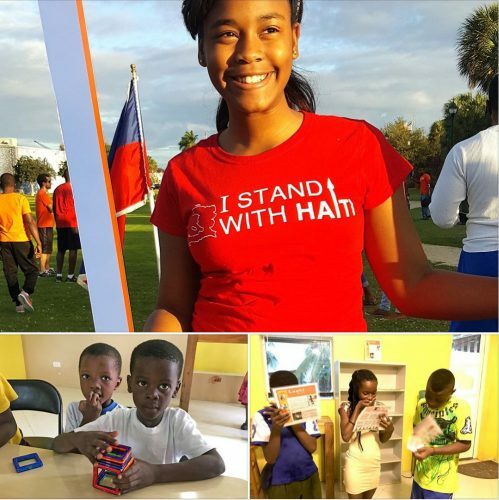 Your participation helps support education and provides 21st century skills to youth in Haiti. The ride also raises awareness about the dire situation in Haiti and remembers the victims of the January 12, 2010 earthquake. 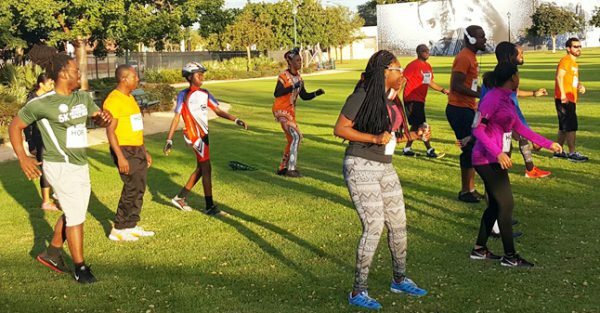 The 2016 Save Haiti Bike Ride will kick off at Young Circle. the event is expected to gather over 500 supporters with rest stops throughout the tri-county area. Our final stop, at the beautiful Bryant Park on the Intracoastal Waterway in Lake Worth, will include live music, vendors, fun activities for children and adults alike and a special tribute to Martin Luther King. To register online CLICK HERE or mail your registration form and payment to Color of Hope – P. O. Box 5621 Lake Worth, FL 33466. Early registration: $40 per person – After 12/12/2015: $50 per person. Discount available for team of 5 or more. The registration fee includes a t-shirt, food and drinks throughout the ride. Fee is waived for sponsored bikers. Sponsored Bikers: This year, we are offering every biker an opportunity to make a greater impact in Haiti. Bikers who would like to make the pledge and get sponsored should email info@colorofhope.org or call 561-817-1264 for more information. All bikers are required to bring their own bike and bring a bike helmet to wear throughout the ride. Upon signing into the ride at initial registration at Young Circle or one of the rest stops, each biker will be provided with a T-shirt to wear throughout the ride. Please dress appropriately for the weather and the sporting activity. Please examine the schedule and route to be on time and decide the best starting point for you. Bikers can drop in and out of the ride between the two stops of their choosing. Only sponsored bikers are guaranteed a car ride back to their point of entry in the ride. All other bikers have to make personal arrangements to get back to their starting point as this is a one way ride that does not loop back. Bikers will be provided with drinks throughout the ride to stay hydrated and with power snacks at each rest-stop. Support vehicles and volunteers will be accessible all the way through. If at any point a biker gets tired they will have access to sit it out in a support vehicle until the next rest stop. This ride is not a race we anticipate maintaining a mild pace between 10 and 12 mi per hour. Please warm up and prepare your body for an endurance ride in the days preceding the ride. Children under 15 years of age must have parental supervision throughout the ride. Closing ceremony is scheduled at the last stop to thank and honor all the bikers and supporters. Get your Save Haiti Bike Ride Gear Now! 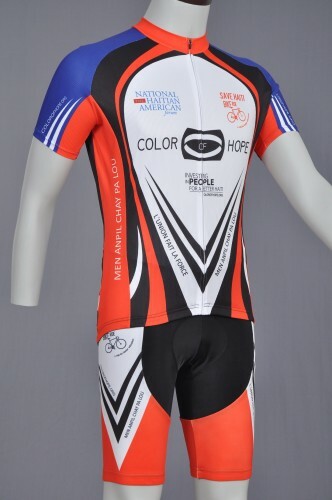 Order your Save Haiti Bike Ride Gear today. This is a limited time offer. Order now! Ride with style – Order it now!